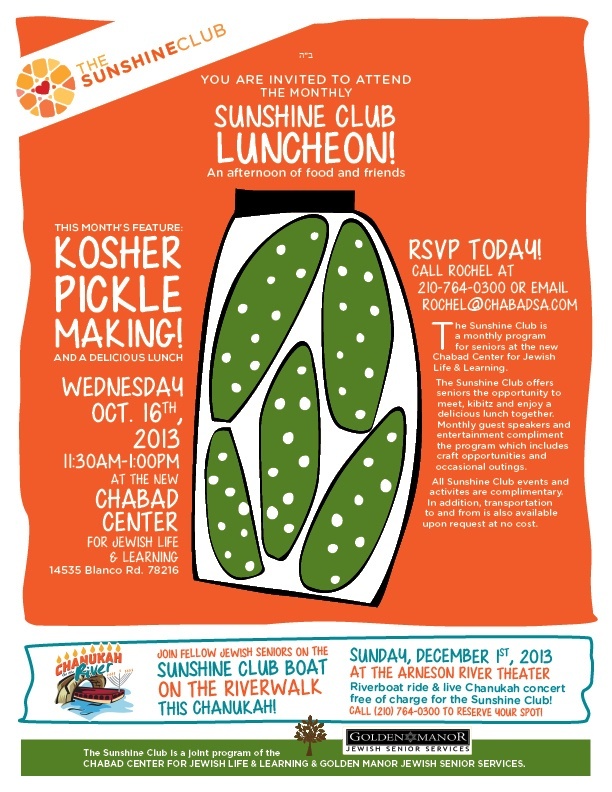 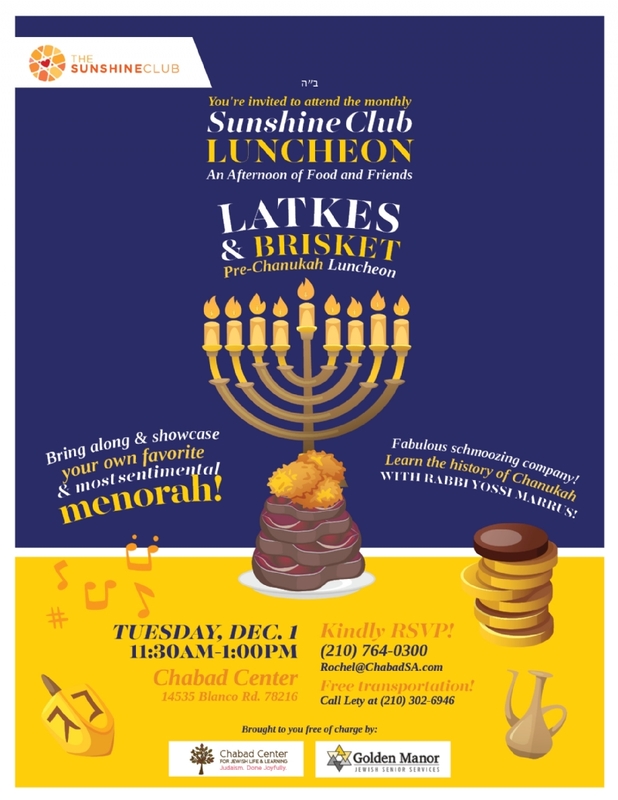 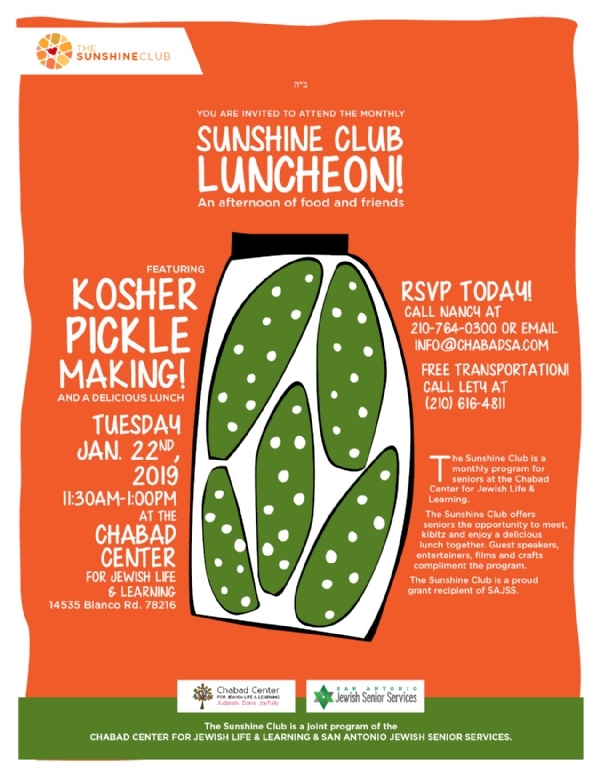 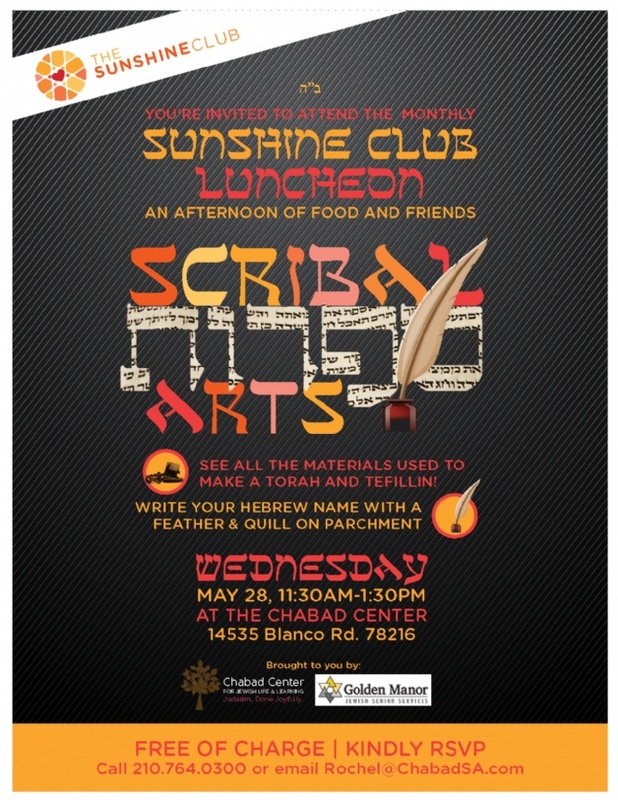 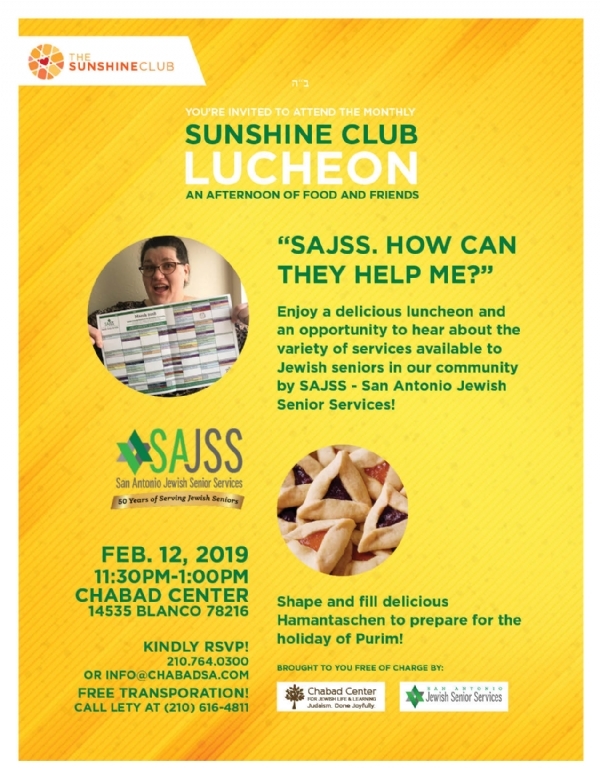 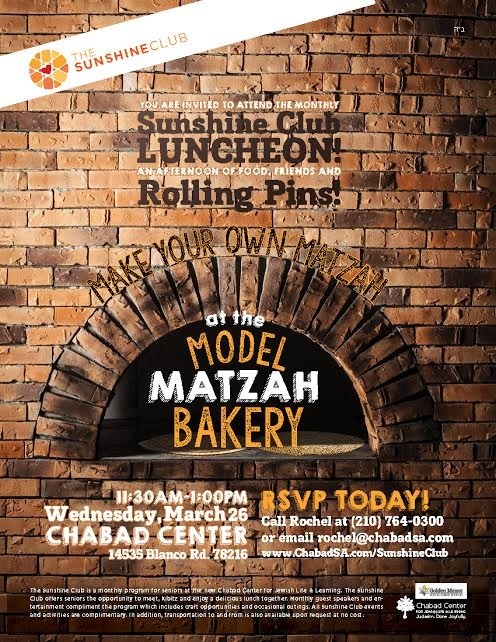 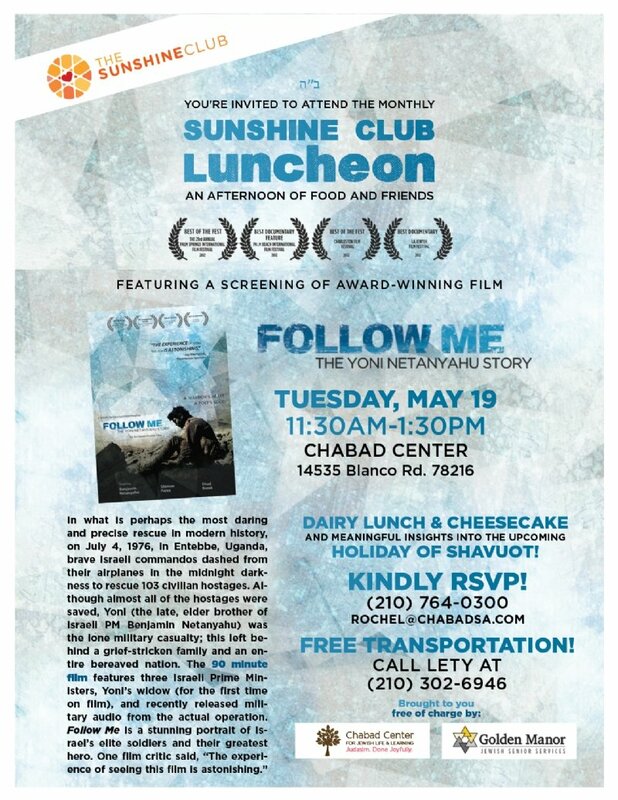 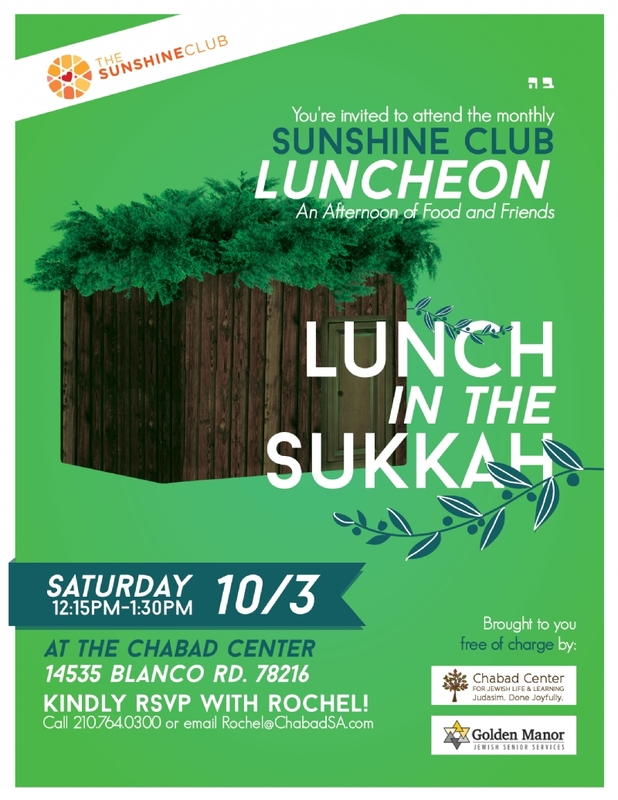 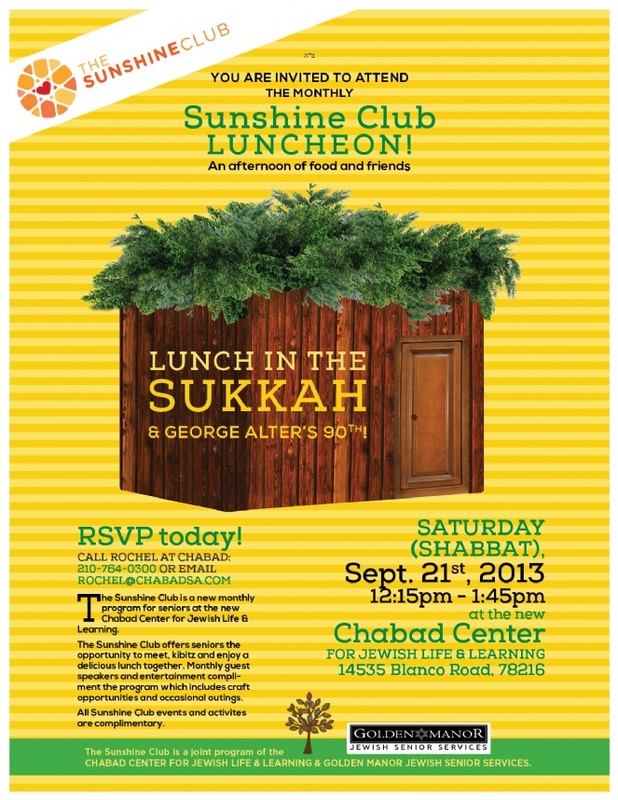 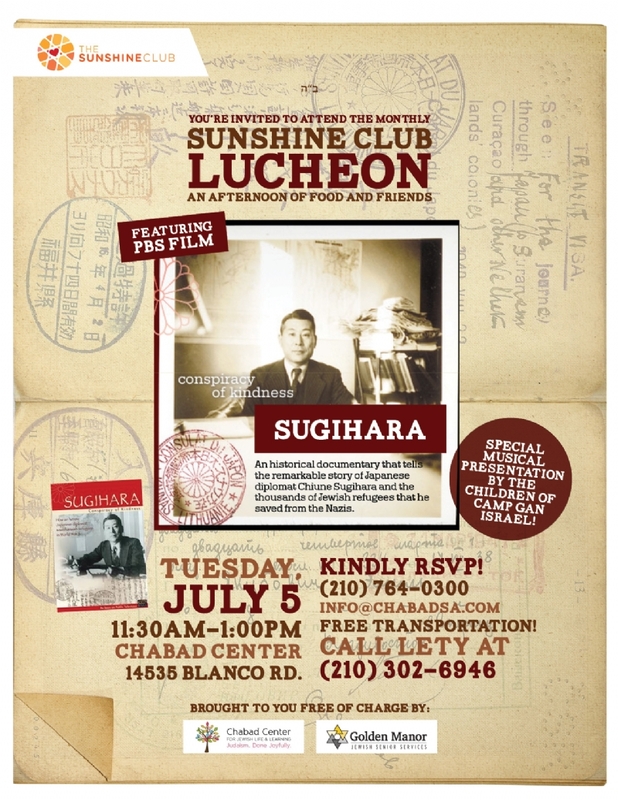 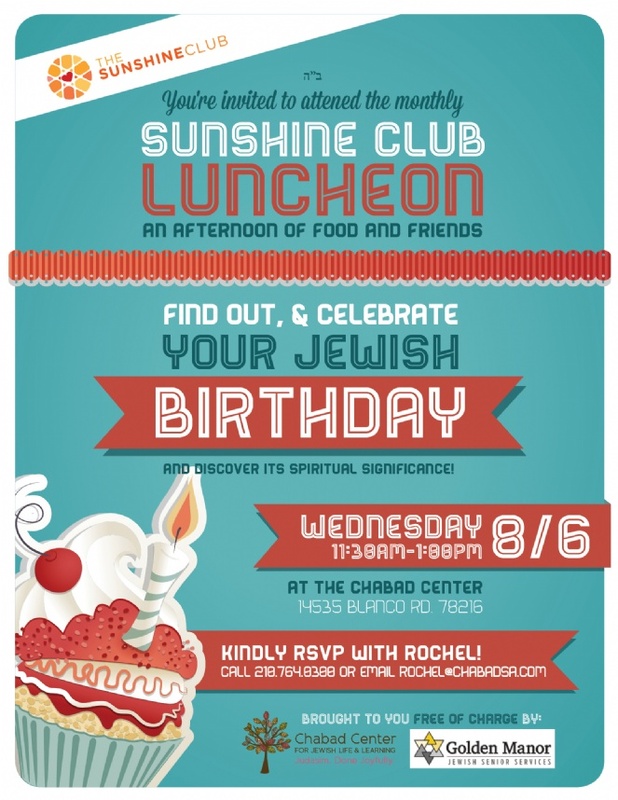 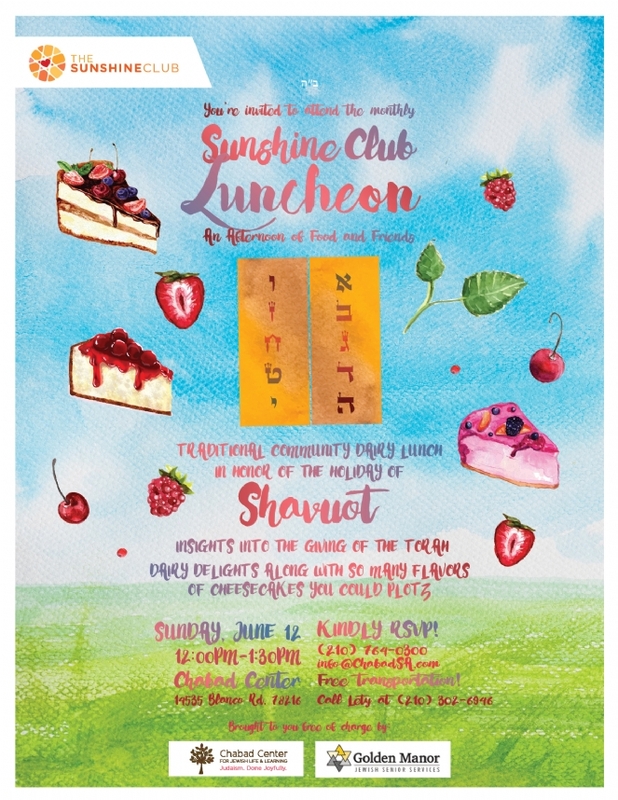 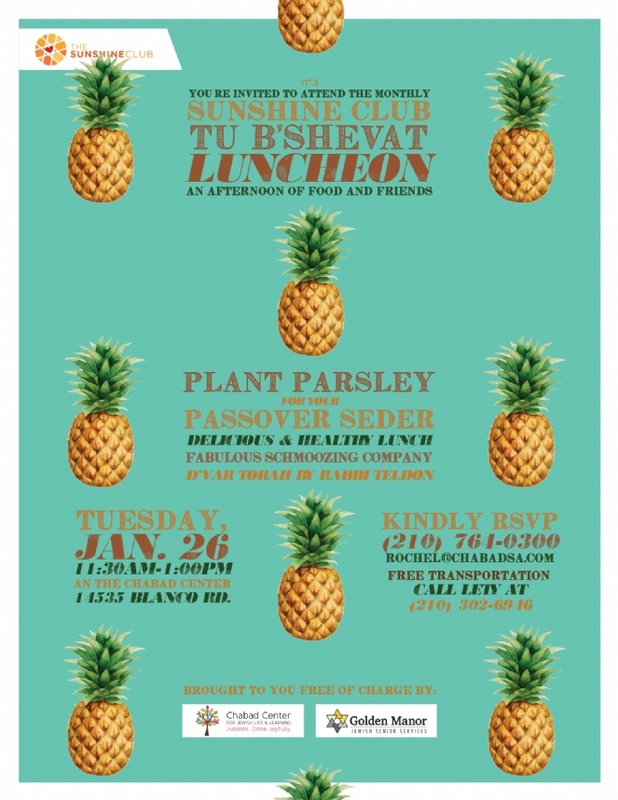 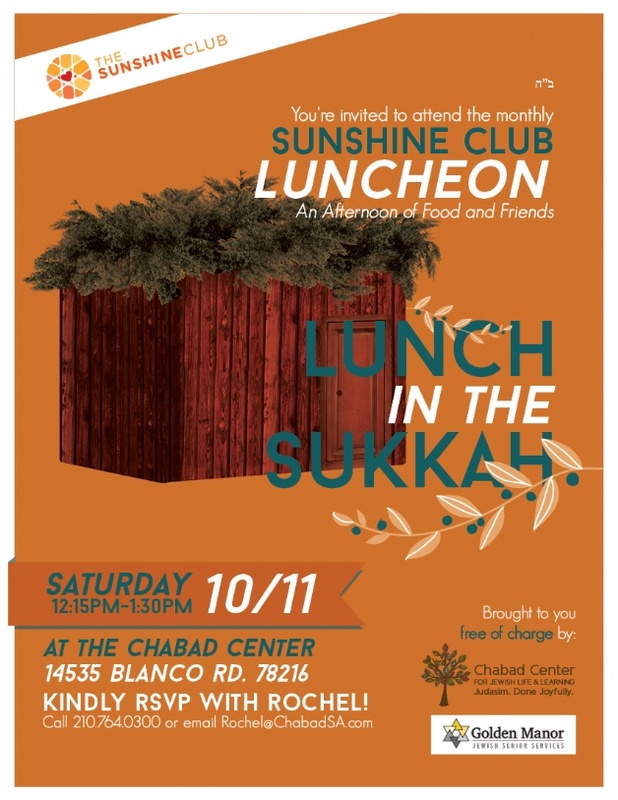 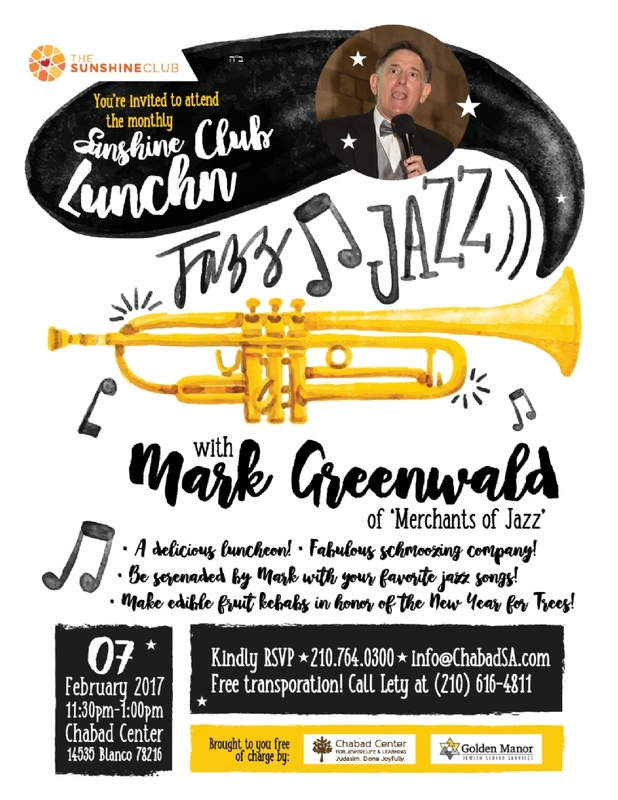 The Sunshine Club is a monthly program for seniors at the Chabad Center for Jewish Life & Learning. 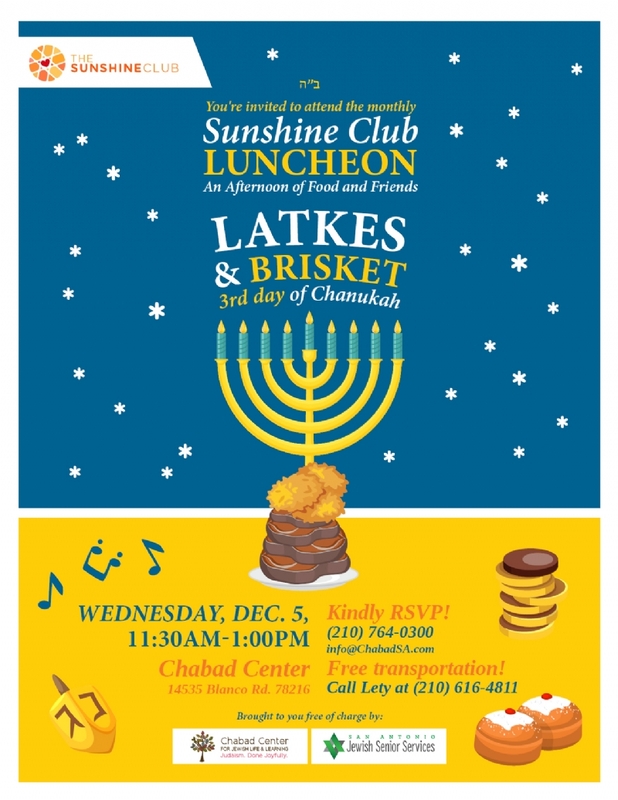 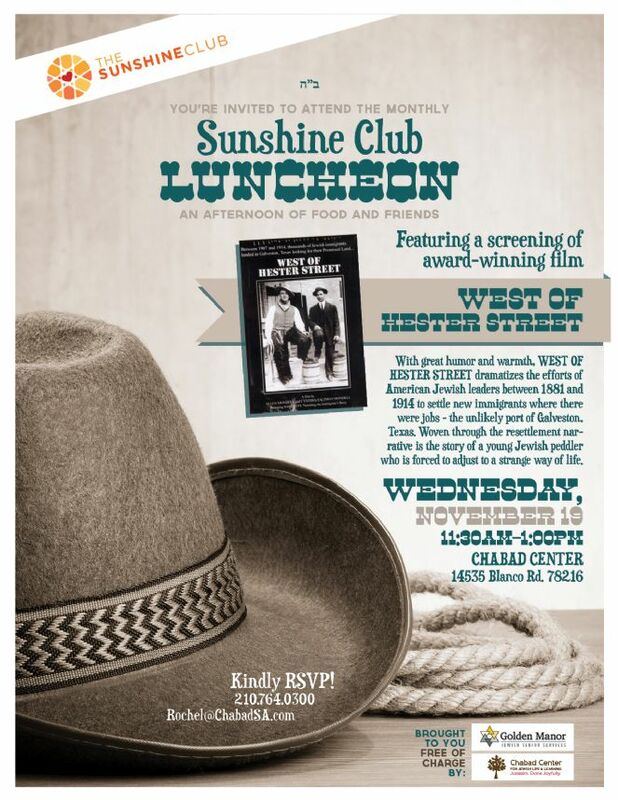 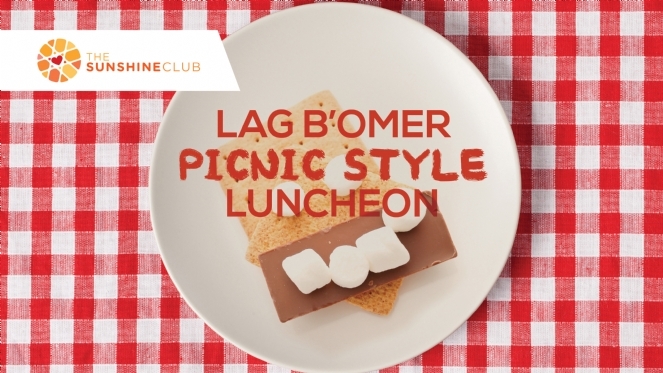 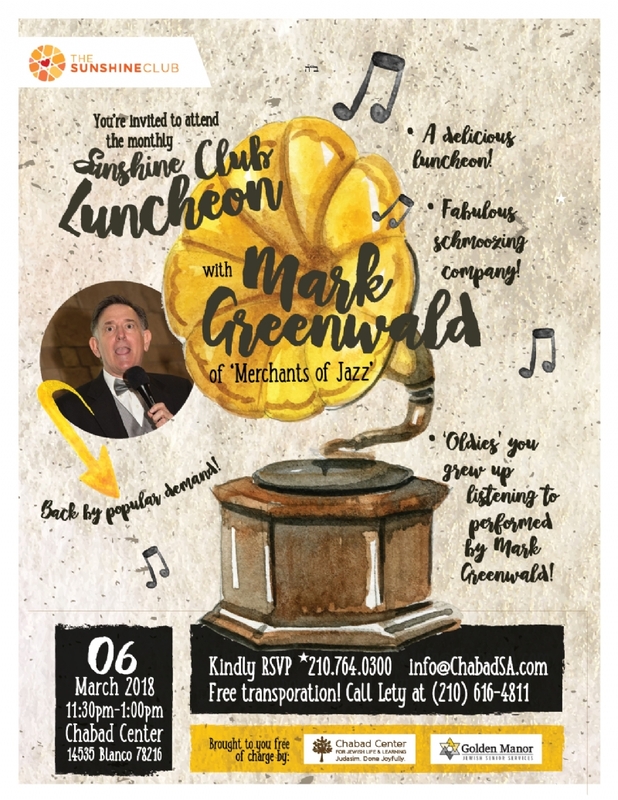 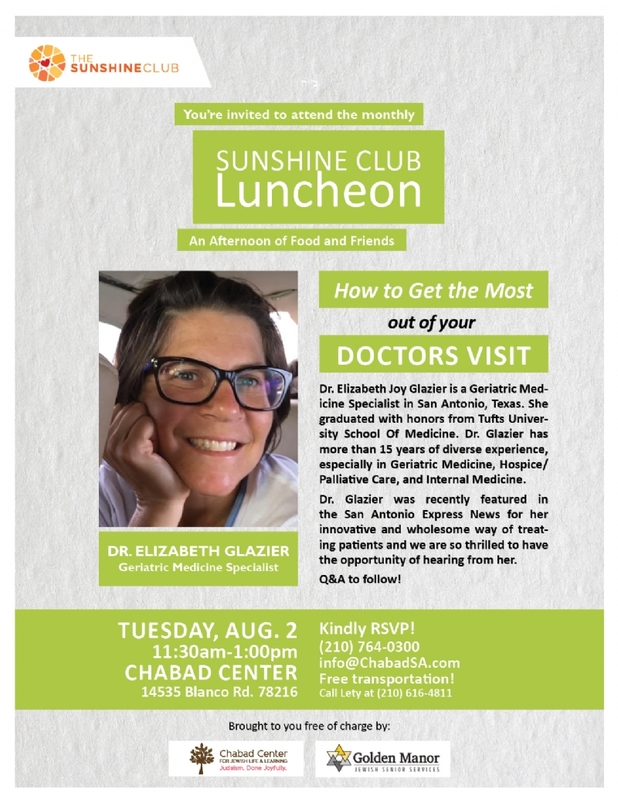 The Sunshine Club offers seniors the opportunity to meet, kibitz and enjoy a delicious lunch together. 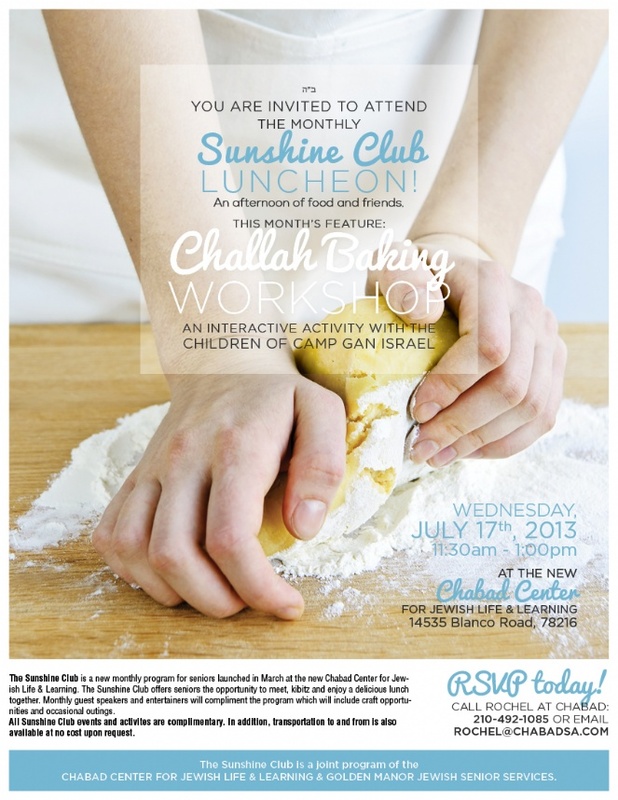 Guest speakers and entertainment compliment the program which includes craft opportunities and occasional outings. 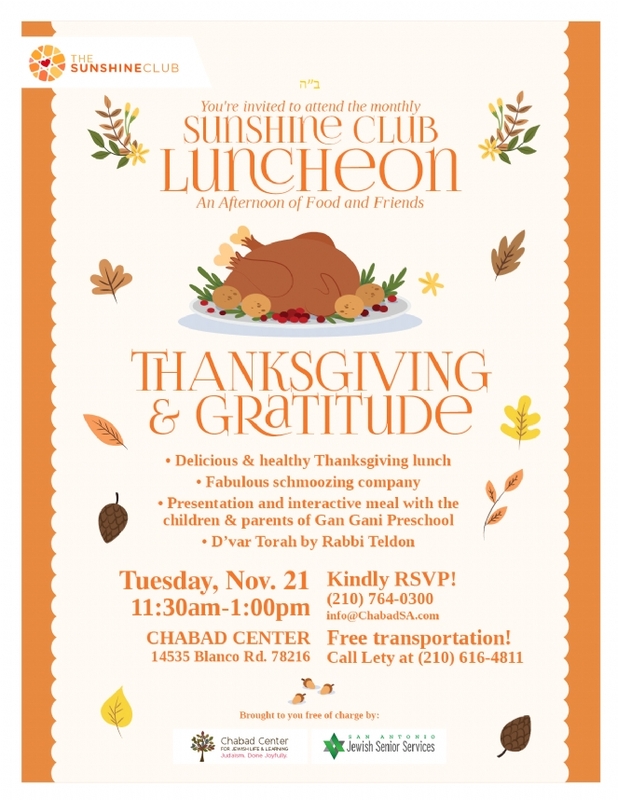 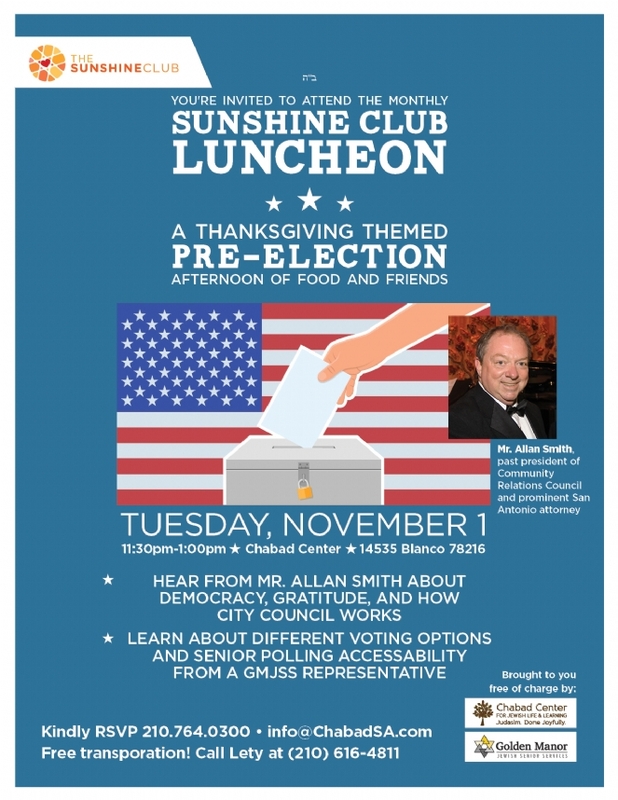 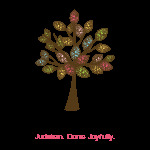 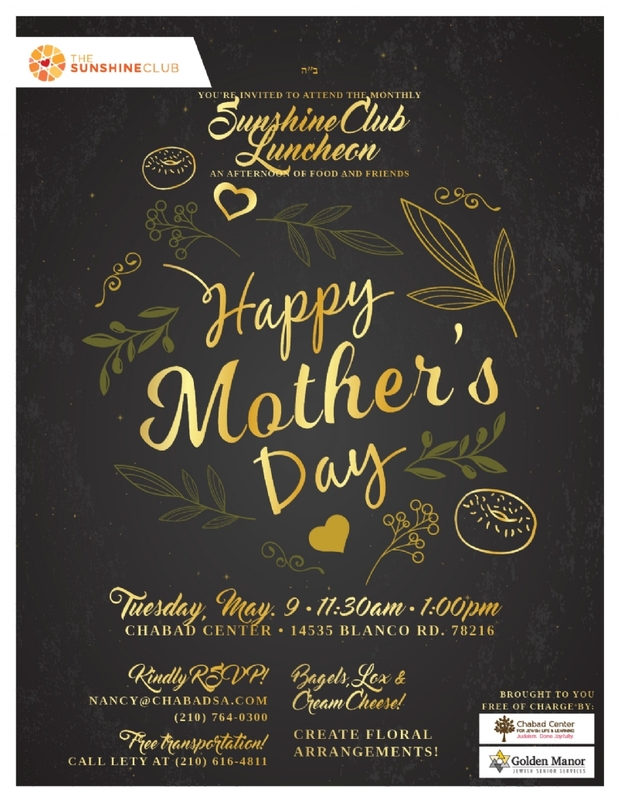 All Sunshine Club events and activities are complimentary. 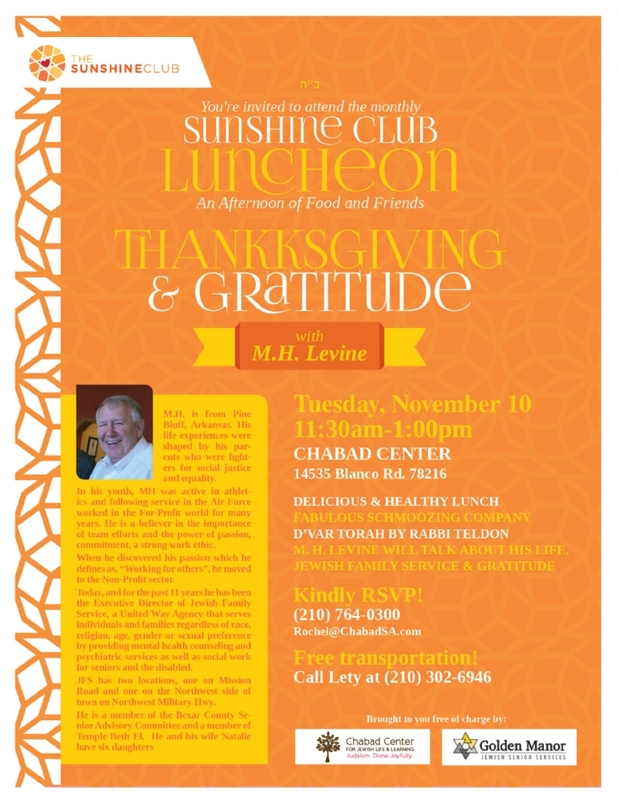 In addition, transportation to and from all events are available upon request, free of charge. 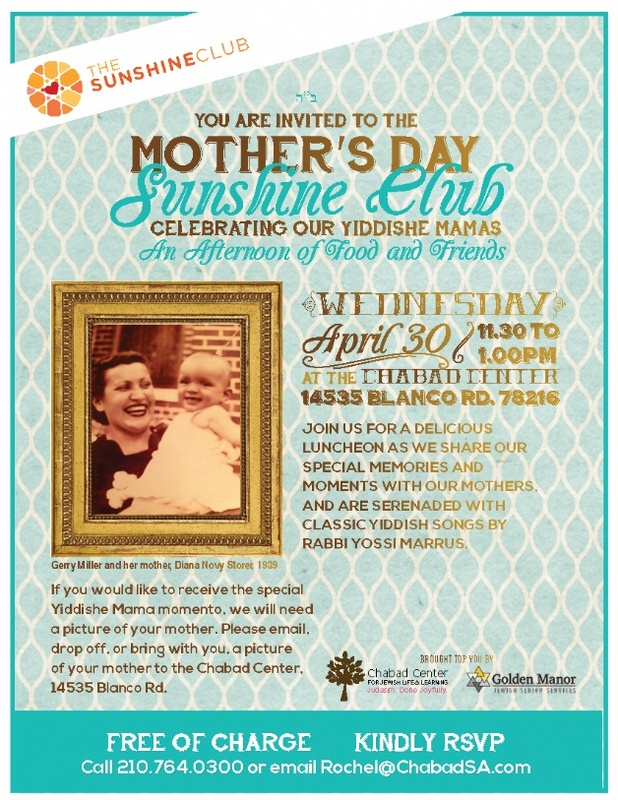 For pictures of past events, please click here and select album from side bar. 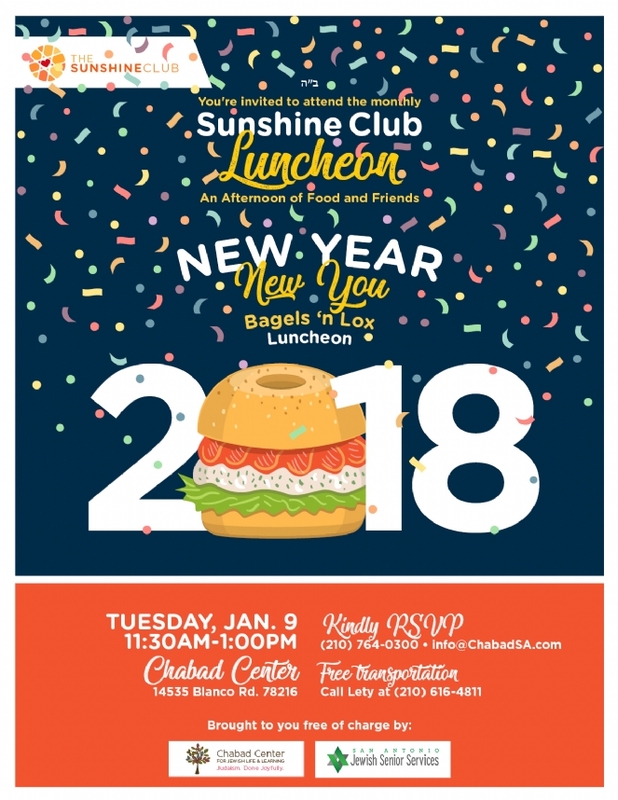 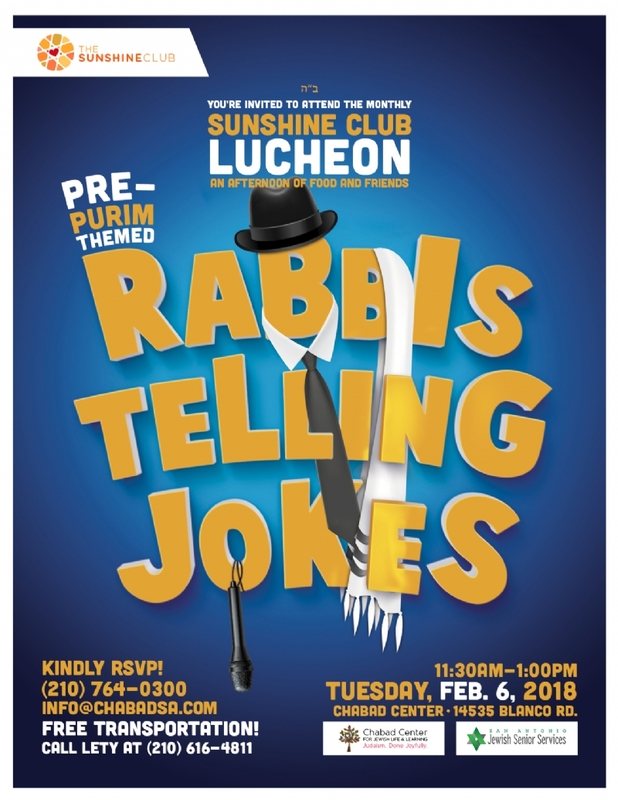 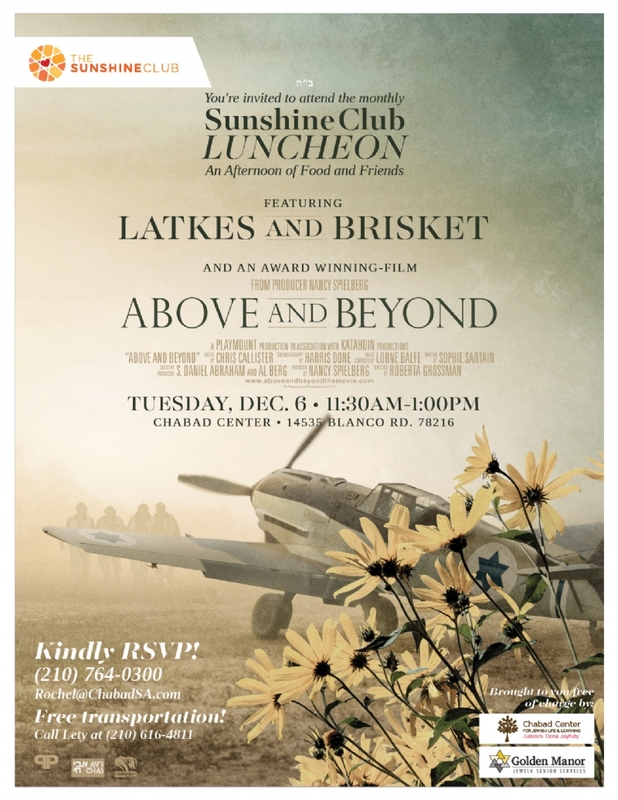 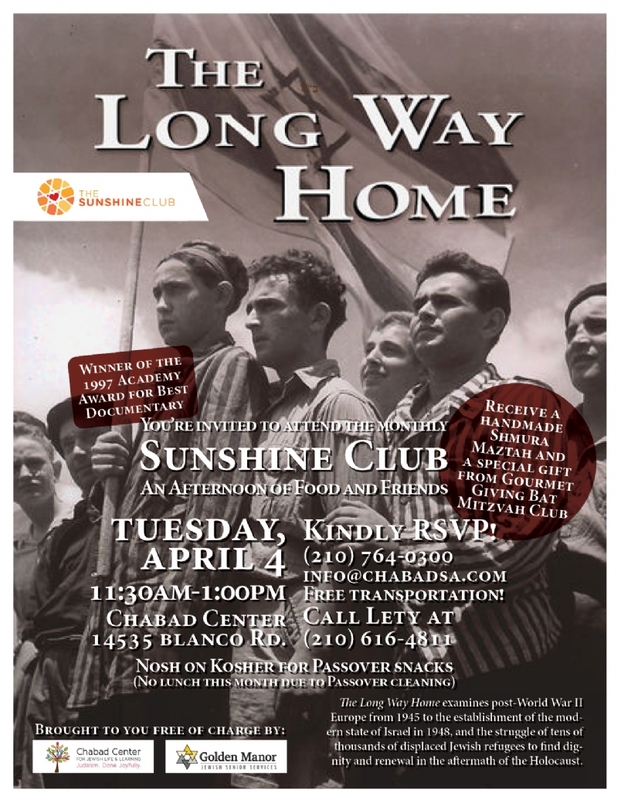 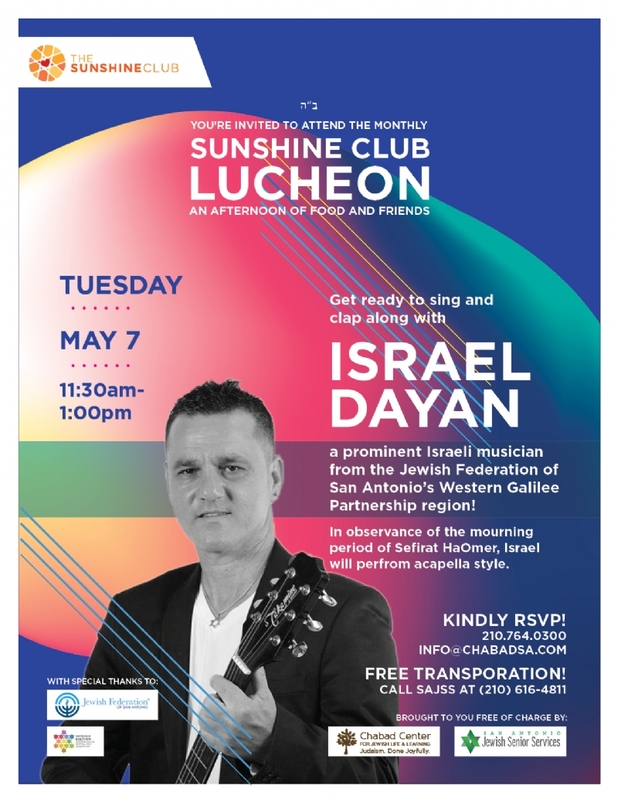 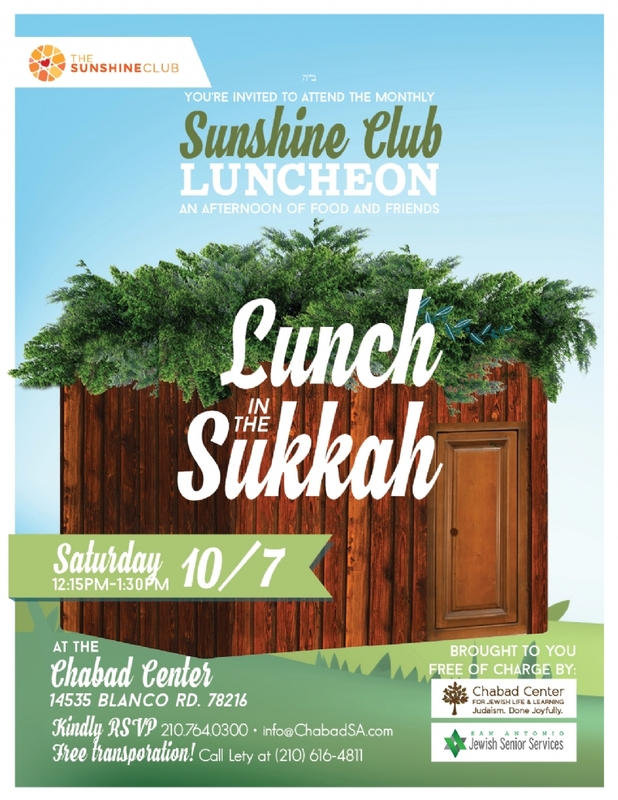 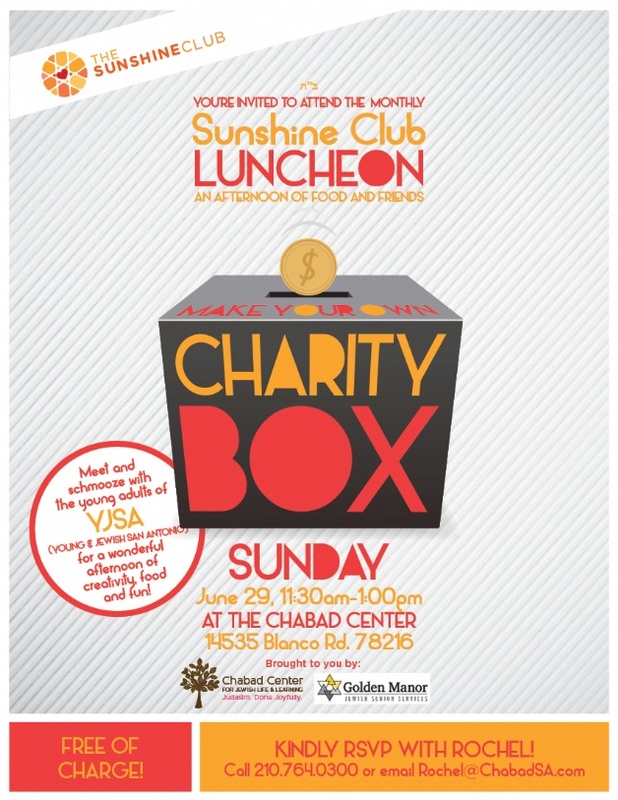 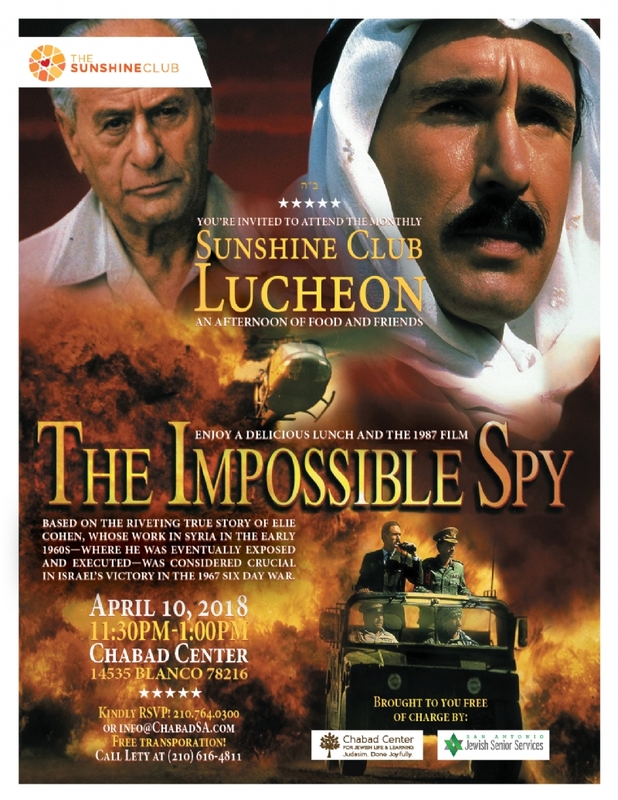 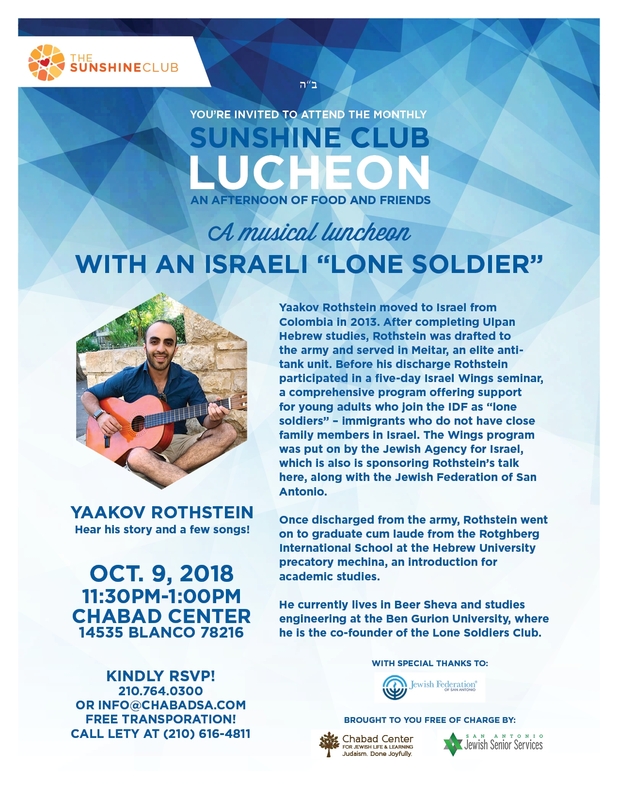 The Sunshine Club is a program of the Chabad Center for Jewish Life & Learning, and is a proud recipient of a grant from San Antonio Jewish Senior Services. 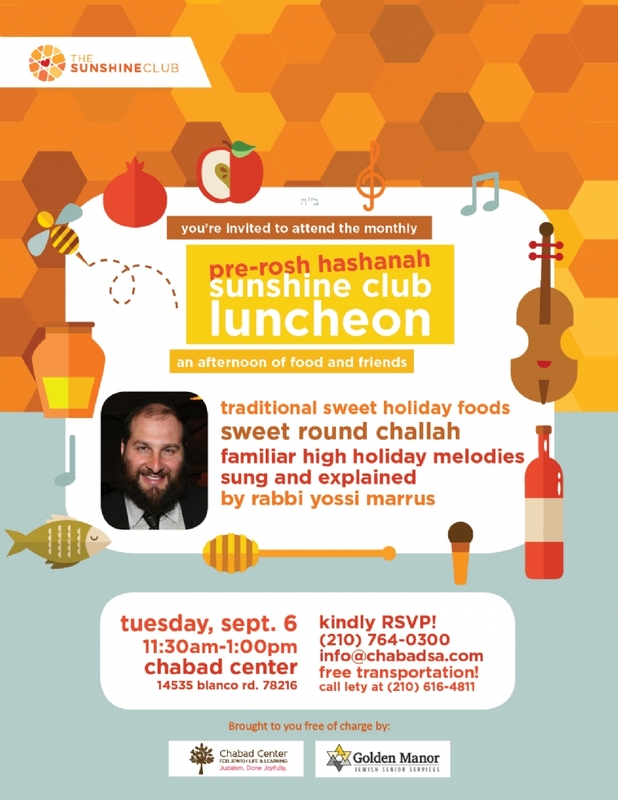 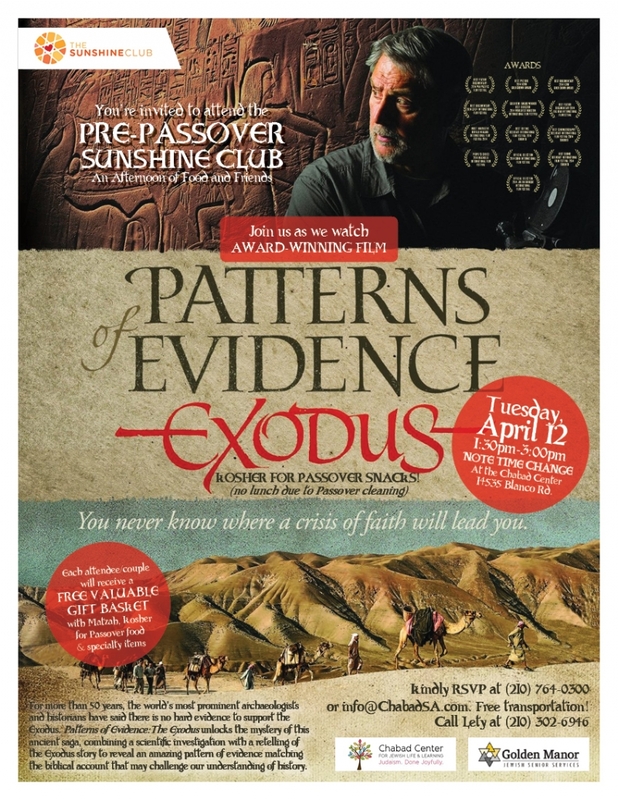 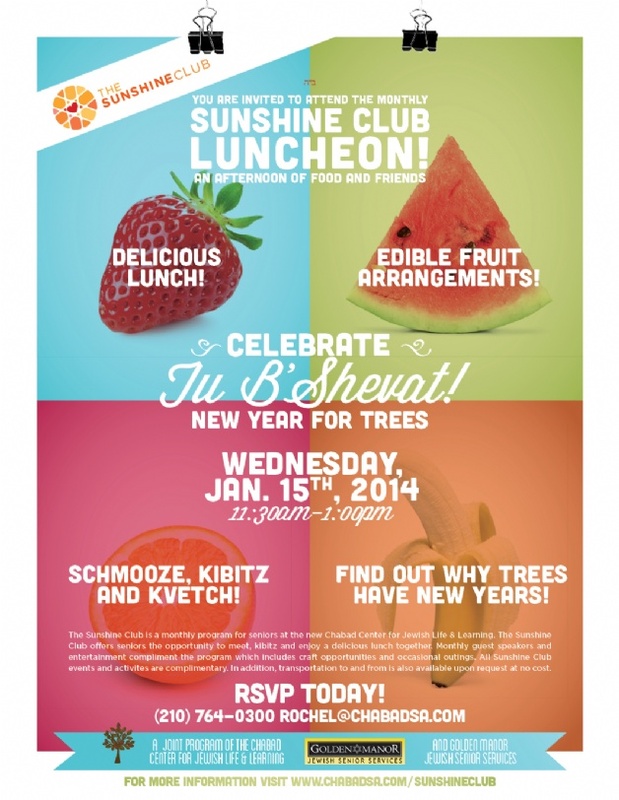 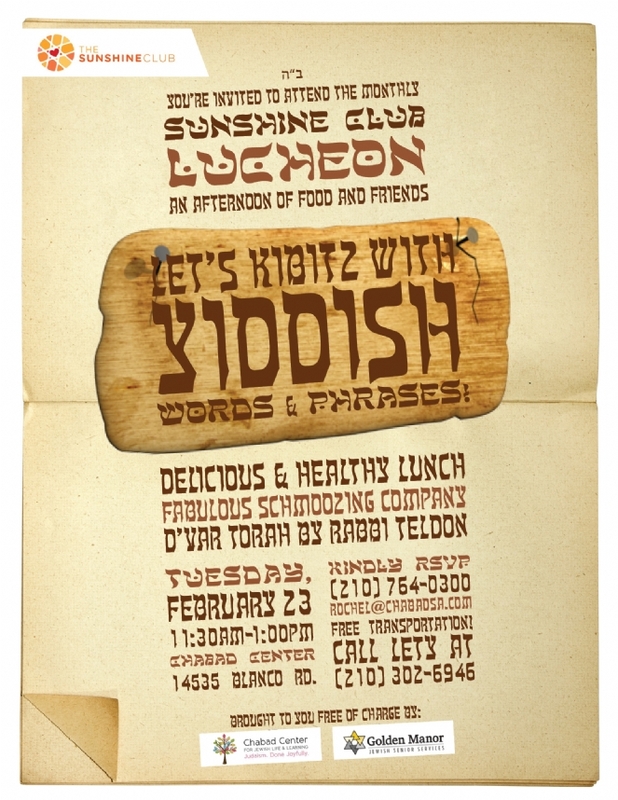 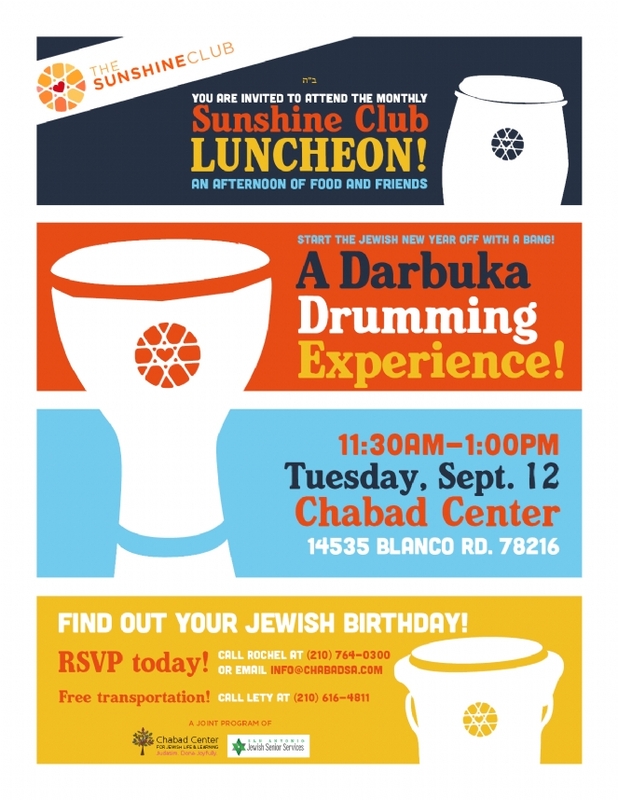 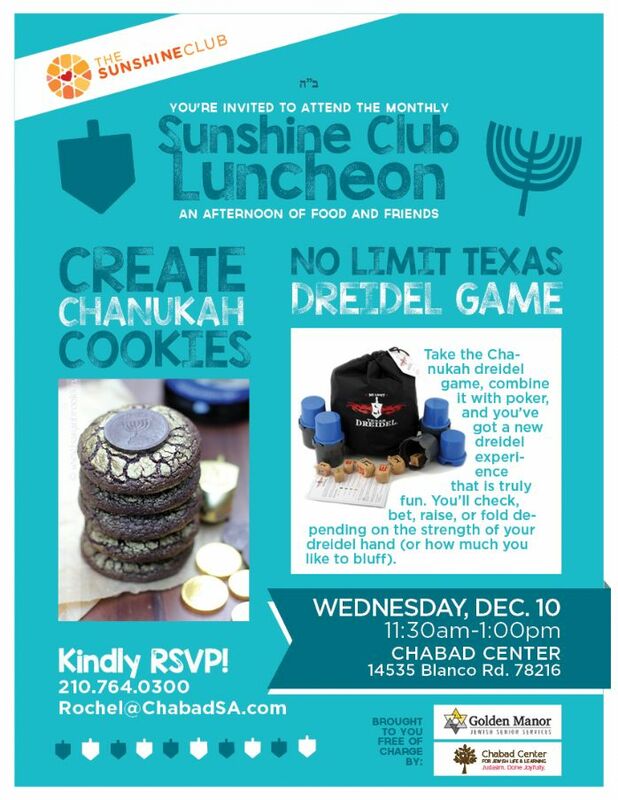 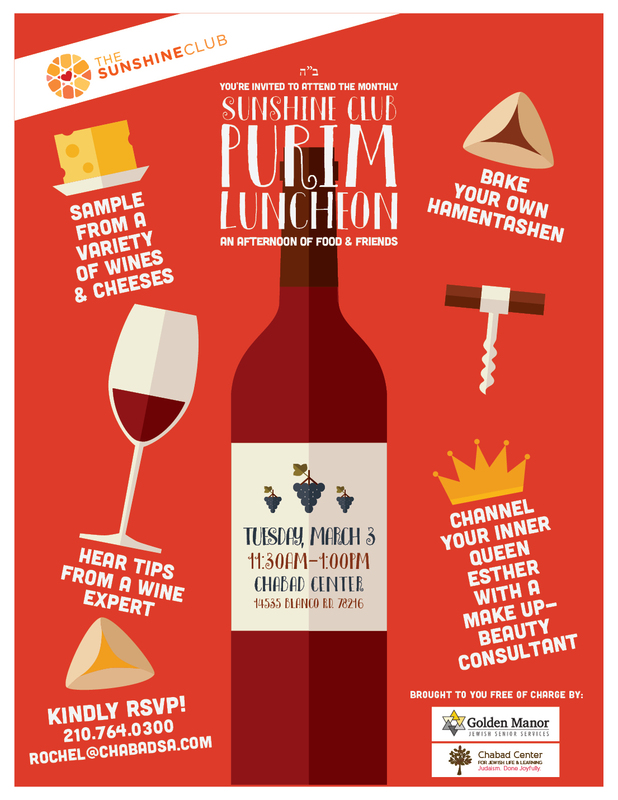 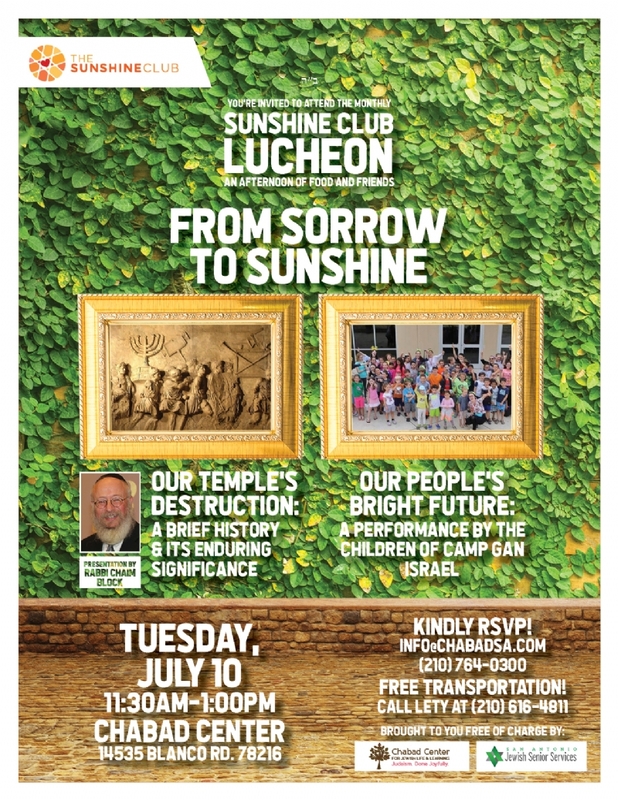 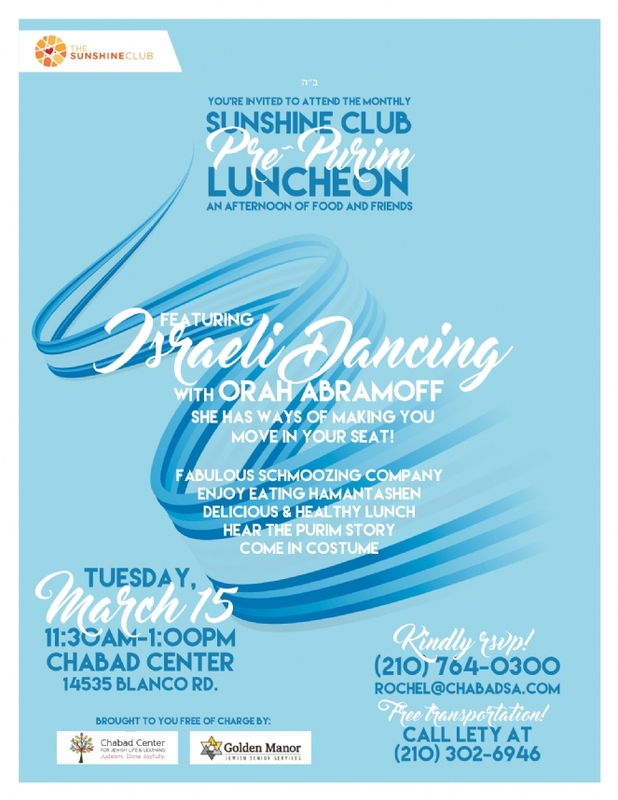 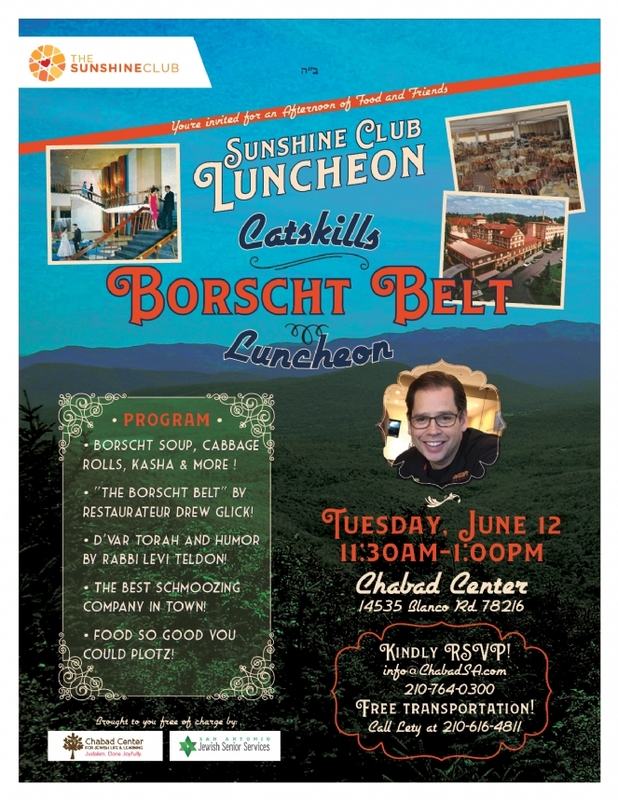 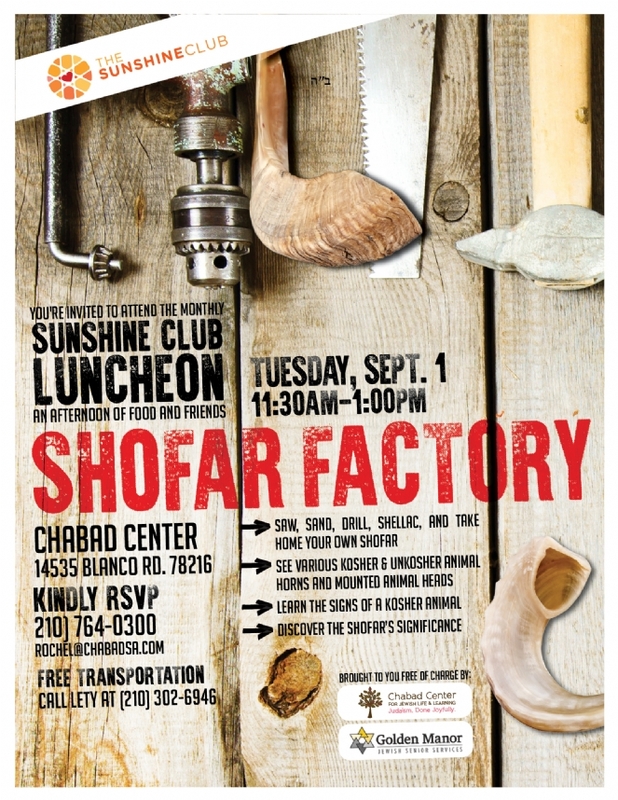 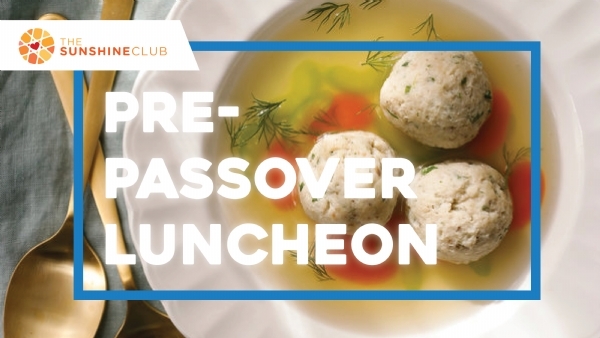 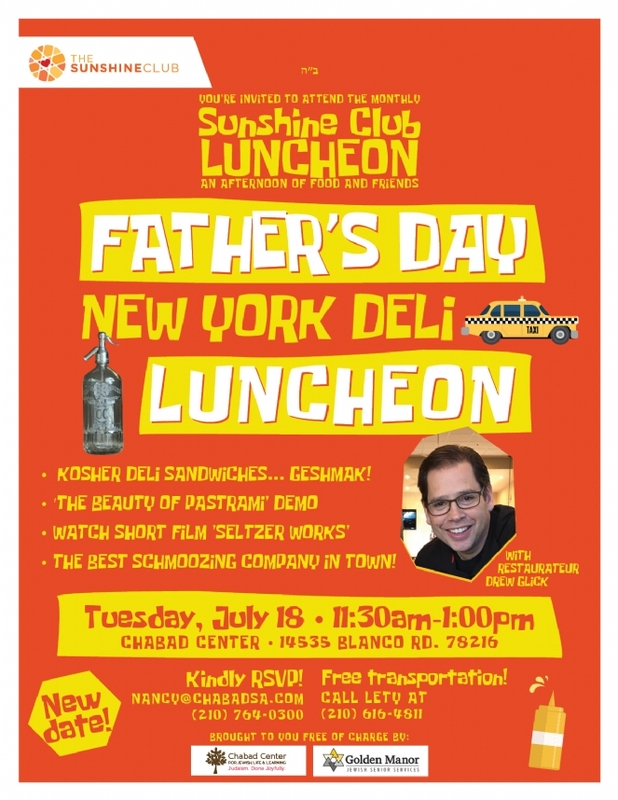 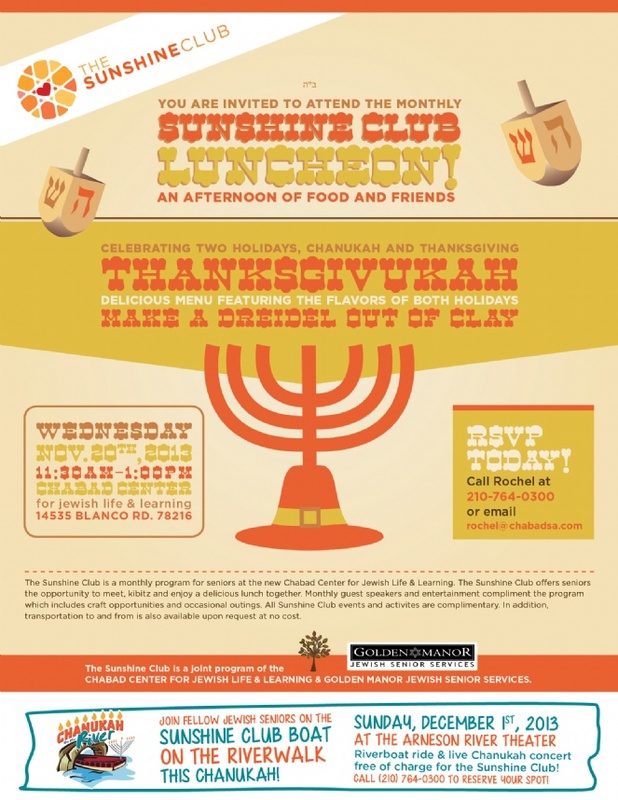 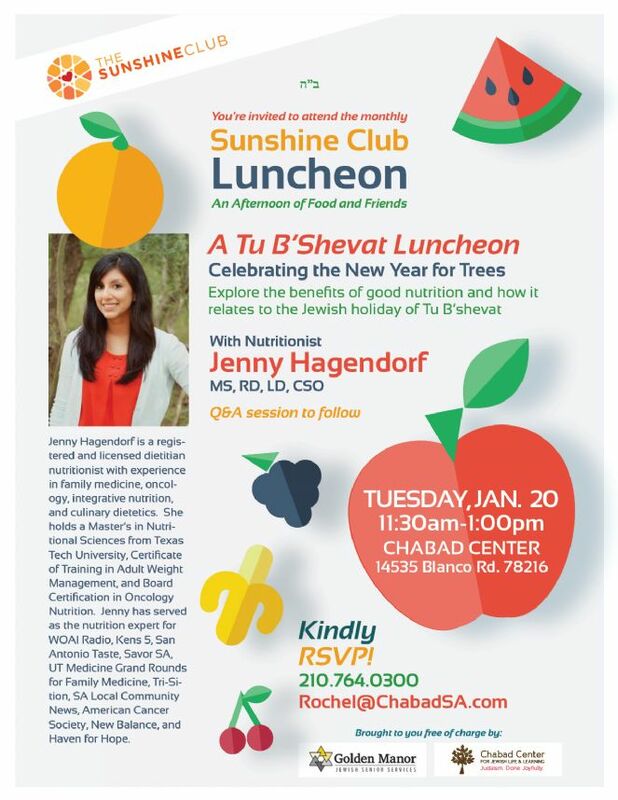 For more information and to RSVP, please call Rochel at Chabad at (210) 764-0300 or email rochel@chabadsa.com. 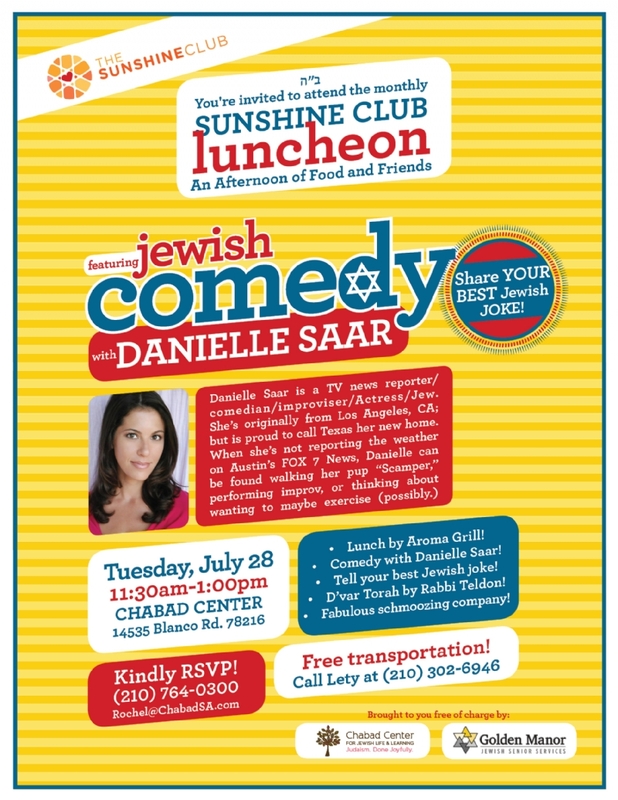 Free transportation! 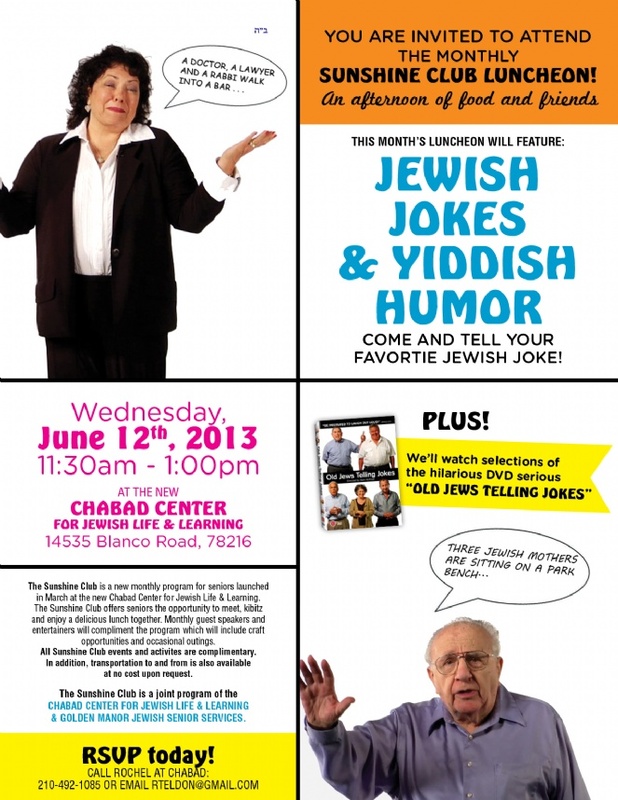 Call Lety of San Antonio Jewish Senior Services at (210) 616-4811.